I love being able to workout at home. With kids, sometimes it’s the only way to get it done. We don’t have the space for a treadmill unless we put it in the garage, and who wants to run in their spider covered garage? Not me! So I have to get creative. In lieu of a treadmill post this week, I filmed a quick 10 minute total body workout that you can do anywhere. Literally, I do this in my messy basement while my kids play around me (as you can see from the video). All you need is a set of medium to heavy dumbbells. I stick with either 8 lbs or 10 lbs depending on how I’m feeling that day. For this video, I was using 8 lbs. I try to get in two rounds for a nice little workout. I also created a YouTube page where you will be able to view all of my workouts. My goal is to film a new workout each week so I hope you will subscribe and follow along! ***I am aware I need to work on my videography skills. I hope you’ll try it out and enjoy! I’d love to hear your comments. I’m not pregnant, but my best friend is. I get teary-eyed when I think of my workout partner leaving me for Mommydom, so I’m reading pregnancy blogs to stay involved and educated in all things bambino. All soon-to-be Mamas, and eventually-will-be Mamas need to check out Pregnant Chicken. Seriously, her blog is hilarious. Show her some love. I promise, you’ll be laughing out loud. My Mom and I had some good laughs over wine and her awkward pregnancy photos. Here is my BFF, Lake. She is 24 weeks pregnant, and looks amazing, right?! I, on the other hand, will not be so lucky. I have no idea where my five-foot (future) self is going to store a baby. Lake has been lucky enough to be blessed with an amazing long and lean body. She also eats very clean, and continues to workout daily. But good genes and a healthy lifestyle can’t take all the credit. She also attends twice, sometimes thrice, weekly Pilates classes. I am thoroughly convinced that Pilates is keeping her in model worthy pregnancy shape. Pilates tightens your pelvic floor, and strengthens your abdominals. This can allow for a more “comfortable” pregnancy, and, fingers crossed, prepare you for labor. Pilates will help you build a strong spine, protecting your back as your belly grows. 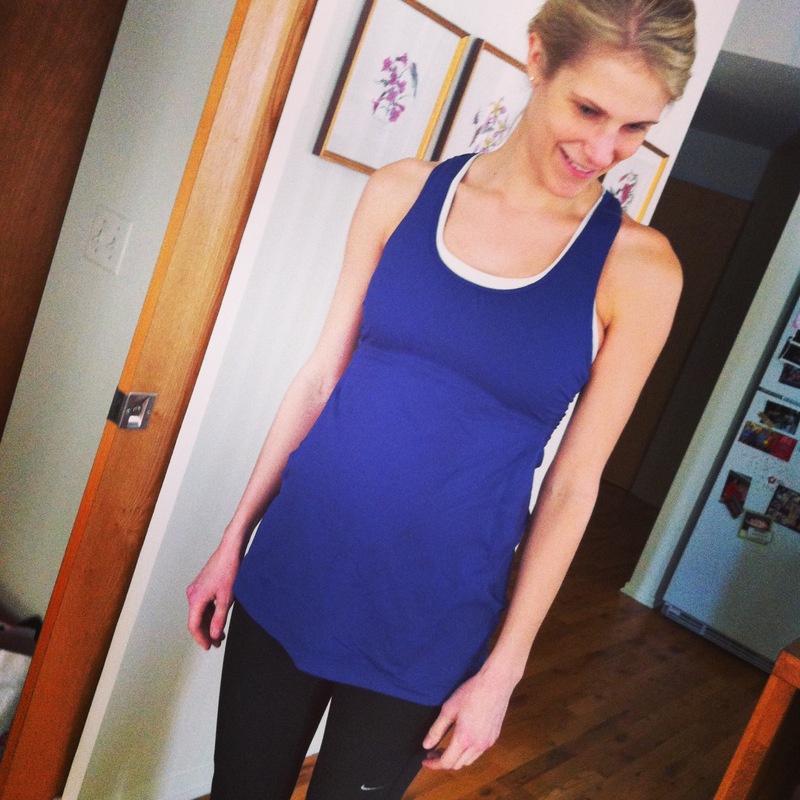 Pilates during pregnancy can help you from becoming, how shall I say, “a sloppy mess?”. Come on, everyone knows someone who gained half their body weight during pregnancy. Don’t let this be you! After your first trimester, you only need about 200 extra calories each day. And stay active! Active Mamas will reduce their risk of gestational diabetes and pre-eclampsia, they will sleep better, and are less prone to postpartum depression. As your belly gets larger, you will need to take caution with back lying exercises. The weight of your belly when lying down on your back can put pressure on your Superior Vena Cava, a major vein that is supplying blood to both Mama and fetus. Around 20-22 weeks, it is recommended that you avoid lying on your back. 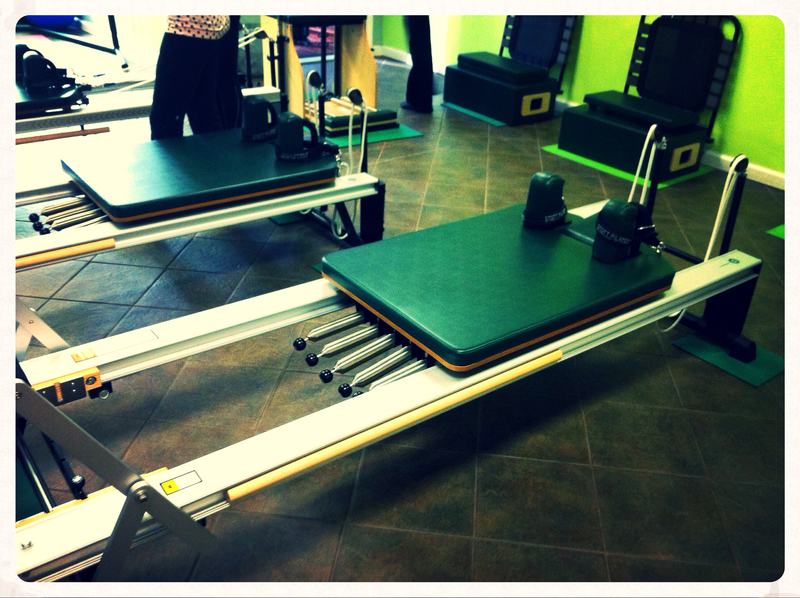 You can use the Pilates Chair instead of the Reformer for back lying exercises. Although they won’t hurt the baby, stomach lying exercises can become uncomfortable even in the first weeks of pregnancy. Your instructor will give you alternate exercise to do that won’t involve you lying on your stomach. That’s another reason why Pilates is so great – every exercise can be modified to fit your body’s individual needs. Since I’m trying to soak up as much time with Lake as possible, we hit an evening Pilates equipment class at SixPax. A special thanks to Fayth, for setting this class up for us! If you live in Chicago, and have not checked them out yet, you are missing out! Fayth, Joanna, and Molly will change your life. Trying to decide if Pilates is for you? Check out a mat class and find out. I would not recommend starting a new fitness regimen while pregnant, wait until after the baby is born to start something new. If you’ve been doing Pilates for years, keep it up throughout your pregnancy (as long as you have a doctor’s okay). I know a woman who did Pilates up until the day she gave birth. She looked phemoninal, and only needed two weeks off before she was able to get back into her fitness routine. How was your day? I realized during Pilates that I was wearing the recalled Lululemon pants. What’s good for the goose is good for the gander. Ignore me. I’ve been drinking wine.